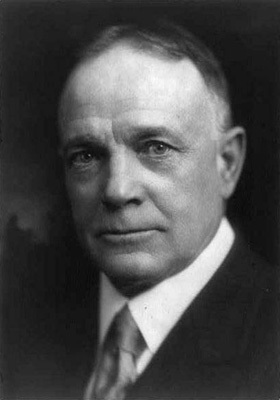 William Ashley “Billy” Sunday was born on November 18, 1862, in Ames, Iowa. He was raised by a single mother, and his family struggled financially. Sunday attended school, and he eventually graduated from high school. He worked several jobs over the next few years, before the Chicago White Sox, a professional baseball team, hired him as a player in 1883. Sunday's baseball career lasted eight years, and he played for several different teams. During Sunday's baseball days, he became deeply religious. He underwent a religious conversion in 1887. Upon the end of his baseball career, Sunday became an employee of the Young Men's Christian Association. He also began to associate with various evangelists, and in 1896, he embarked on his own revival tour. In his sermons, Sunday railed against alcohol consumption. His diatribes against drinking helped lead to the adoption of Prohibition. A religious fundamentalist, Sunday also attacked science, believing that scientists were trying to disprove the Bible. In 1903, the Presbyterian Church ordained Sunday as a minister. Sunday became well known for his fire and brimstone style of sermons. He would berate his parishioners, telling them that they may be doomed for Hell if they did not immediately give up their sinful ways and dedicate themselves to God's word as printed in the Bible. He traveled across the United States, holding revivals. He held meetings in both Youngstown and Columbus, Ohio. Ten percent of the people in Columbus, roughly 18,000 people, became members of Sunday's congregation. Sunday also utilized the radio to reach even more potential converts. He continued to preach until his death on November 6, 1935.